Going out today felt so odd. 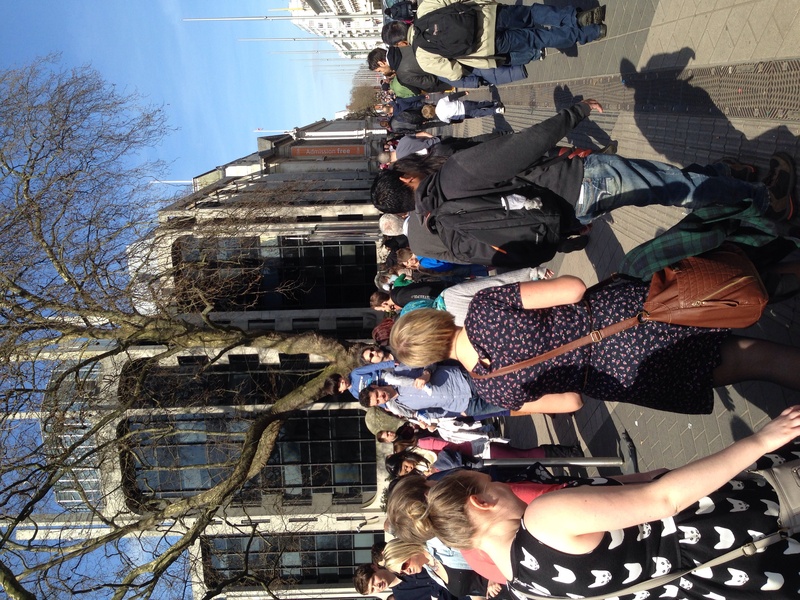 compared to the rest of the week, the sidewalks and tube stations were packed to the brim! I kept forgetting it was the weekend and so more people would be outside. If the city was this crazy on a daily basis, I doubt anyone could stand it. this morning I went to the national history museum right after it opened at 10 am. 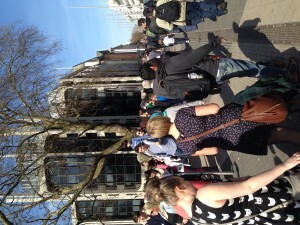 When I walked outside later to go back to the tube, the line was even farther down the block than when I came! Even the tube stations have a different feeling during the weekend. I noticed that nearly every station I went through today had performers both inside and on the sidewalk above. 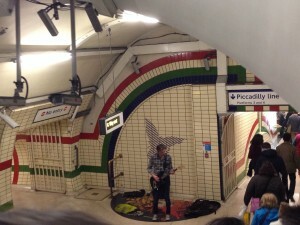 The musicians gave the tunnels a really cool atmosphere. I could hear them long before I ever saw them. Posted in Culture/Food/People, Transportation/Infrastructure	Bookmark the permalink. I miss the streets and stations which are packed with people after trip. It reminds me of my hometown that is similarly crowded like London. I really like to see many people walking outside and I feel alive when I actually become one of them. It is interesting to notice that the sense of density and crowded is a personal concept of feeling. When I first came to Ohio, it was weird not to see many people on the street. However, as I am getting used to it, I experienced ‘reverse culture shock’ when I walked outside in London with lots of people. Walkable cities like London helps people be more engaged with others, and I think that is a life!